Paul Wright was born in Adelaide in 1959. At the age of eight he began violin studies with Lyndall Hendrickson and, three years later, was awarded a place at the Yehudi Menuhin School in England. He went on to study at the Guildhall School in London, and in 1978 was accepted as a student at the Juilliard School in New York, where he studied under Ivan Galamian. He has performed with many ensembles in Australia and America including the Australian String Quartet, the Australian Chamber Orchestra, Ensemble of the Classic Era and the Australian Brandenburg Orchestra. Paul has been a soloist with many major Australian orchestras since 1989. Since 1991 he has directed Ensemble Arcangelo, an 18th century period instrument group based in Perth. He is co-recipient of an Australian Research Council grant enabling him to investigate aspects of French Baroque music especially in relation to the French Cantata. Paul also performs Eastern European gypsy music with Kashtany Duo. Paul co-founded and is Artistic Director of the Juniper Chamber Orchestra, an ensemble comprising staff and graduates of the UWA School of Music, which is named after renowned Australian artist Robert Juniper. Since 1990 Paul has been the Geoffrey Robinson Musician-in-Residence at The University of Western Australia. 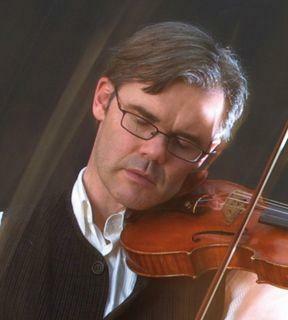 Paul currently holds the position of Director of Strings Studies at the University’s School of Music.